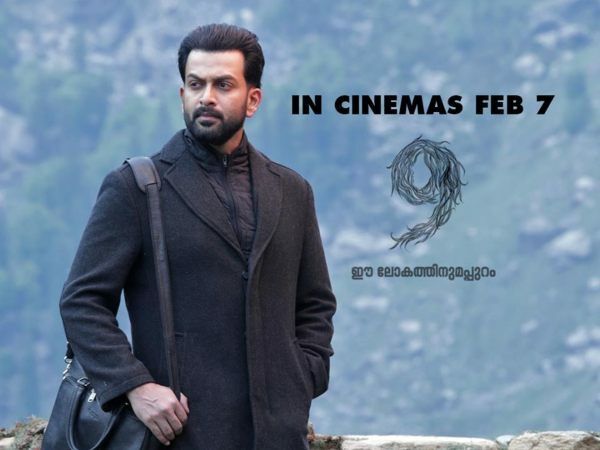 Prithviraj has never shied away from trying films that traverse the road-less-taken. With 9, he has come up with yet another film, which is something unique and special for the Malayalam film audiences. Has the new path reaped benefits for the viewers? Read 9 movie review to know more about the same. The core plot of 9 revolves around a global event spanning nine days, which would leave the Earth devoid of electricity, and all power and communication facilities. Albert is an astrophysicist and is assigned a task, which requires him to travel to the foothills of Himalayas. First things first, Jenuse Mohammed should be appreciated for taking up a concept, which is completely new to the Malayalam cinema. A concept that involves science-fiction, horror, psychological and emotional elements. More importantly, such themes are too risky to handle since they might be exposed to the unwritten laws of logic. Nevertheless, the plot of 9, which has a whole lot of fictional elements, looks convincing and believable.